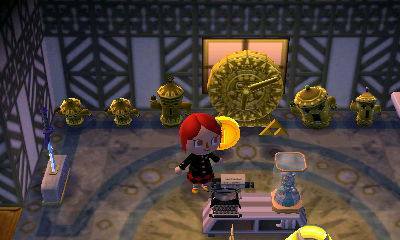 Because the courtroom is one of the most important spaces in this game, I have to make sure it’s recognizable and memorable. In June, I wanted to tackle some of the backgrounds we need in our game. I’m not an architect nor an interior designer, but I figured I could analyze different courtrooms and courthouses and figure out the contents and elements I needed. I love the rustic and Victorian styles the Ace Attorney games rock. I, too, want a courtroom that’s overly dramatic and filled with details. Personally, my type of architecture is definitely baroque: I’d have every corner filled with columns and every wall draped in fine lacework. However, this felt way too intense to try to attempt right out of the blue. I didn’t want to add a monstrous amount of workload onto myself, nor did I want unnecessary details that would confuse the scenery and the players, but I also didn’t want to make the whole thing too simple and compromise the dramatic effects. Speaking of Dramatic Effect, I really wanted a full-blown stained glass behind the judges, for no reason whatsoever other than being awesome. Spoiler: I did not let go of this idea, despite knowing it may be a terrible idea. With that in mind, I started to layout what we truly needed to keep it in mind before doing anything and accidentally overloading everything, as I’m known to do sometimes often whenever I’m left unsupervised. Of course, in the same vein of the Ace Attorney games, we don’t have a jury, just a judge, so we can ignore that. I’ll also go over the other people like security guards because they just can fit wherever that makes sense when everything else is done. The easiest ones to place in the room are the judges. They gotta be sitting right smack in the middle of the room, in the back, looking all mighty and judgy. They should be able to talk to the attorneys easily and without turning around too much. Most of the time, they are also elevated, which is nice, drama and all. As for the position of everyone else, the attorneys, witness, and spectators, we had a couple of choices to consider. In the AA games, the layout is quite simple. The attorney teams face each other in each side of the room; the witness is facing the judge in between both teams, but closer to the door, allowing the attorneys to look at them straight; and the judge is at the end of the room on their elevated desk. It’s simple, fully dramatic, and efficient. Everyone can look at everyone else comfortably. I also never liked how the games always split the crowd in two, some behind the defense attorneys, some behind the prosecutors. In more recent games, they are still split into two parts, but they are now sitting near the door. But in Dual Destinies, we can clearly see this huge fence around the spectators’ spots. Do… do they have their own doors? What if someone chooses a side that’s already full? Do they just have to go back through the door and walk to the other side just to get a seat? This seems tedious. I worry about them. I just want my spectators to go in and just sit wherever there’s space and, if they’re there early enough, wherever they want. Just, go in and sit. Also, I’d like my hallway to the main entry door to be a little more secure for both the spectators and everyone else, just in case the witness are, in fact, the murderers and decide to, oh, I don’t know, run away. In the AA games, there’s just this huge clear pathway to the main entry door. It always bothered me, especially with the witness being closer to the door for them to be able to be seen correctly by the attorney teams. 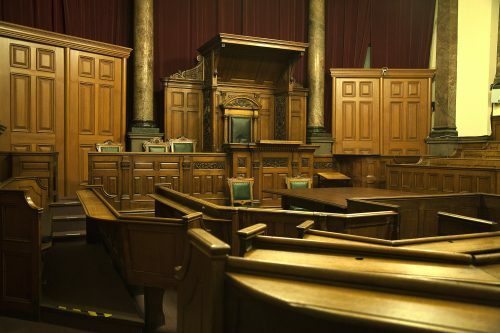 In American courtrooms, you often have the attorneys and their teams facing frontward the judge, the witness to their side (either side, whatever), and juries near that witness. I tried to argue it’d be nice to have our attorneys circle the witness while doing their cross-examination, instead of staying at their desks, just like they do in shows like Law and Order, but that implied more sprites, a new camera position to see that effectively, and so on. This… did not go well. I tried to have the attorneys angled 45 degrees, still facing each other, but the judge also. 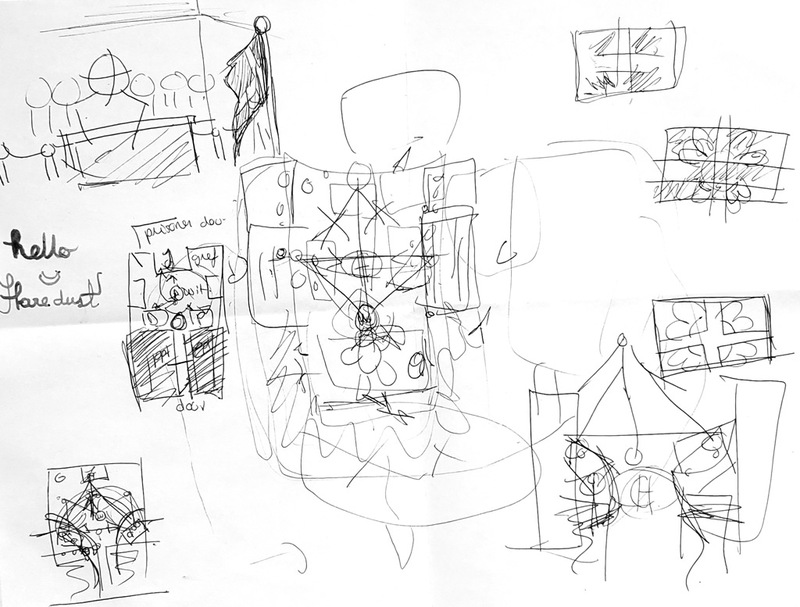 As pictured in this (only) paper sketches, I tried several things. Drawing these options on a sheet of paper really just made me go full circle into how Ace Attorney games does it. I couldn’t break the mold. The only thing I could do better were the spectator’s position and securing the main entry door. I went in a courtroom years ago once (part of a highschool thing) and I recalled how the spectators were able to sit, and how we would be “caged” off the rest of the courtroom where everyone important were. So I decided to go with that, at least. Before doing any interior design per se, I really needed to make a blueprint or a layout of the room, with the choice above in mind. I did some research and found a couple of floor plans for courthouses that I liked. Now, I thought this was a bit… messy. 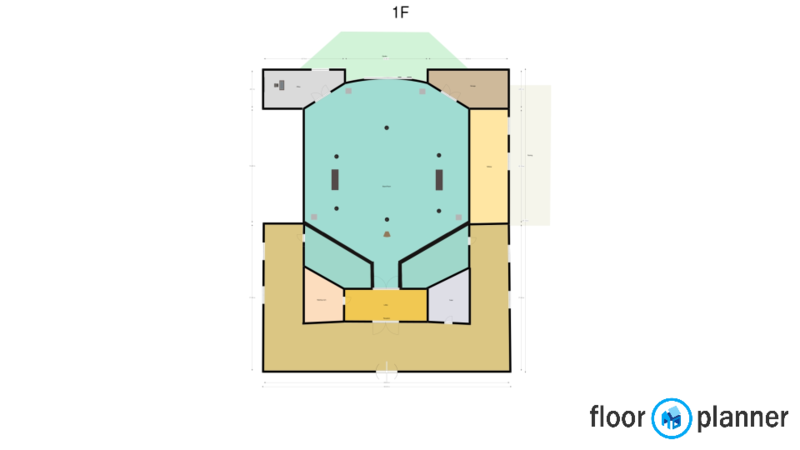 I was wondering if I should make the courtroom (not the whole courthouse) in 3D to be clearer, but then I remembered there may be a free floor plan tool online. I was actually thinking of the app Sketch, which isn’t free, but I still found something else that looked nice enough: Floorplanner. At first, I was impressed. I thought “Woah, I’m gonna make something super professional-looking and it’s definitely gonna help.” But really, it didn’t. I wasn’t really good at using the tool, and the floor plan is really just useful to help do the 3D render we needed, and this was just a waste of time since I already had a floor plan, though messy. Not too shabby. Decided to be less cheeky with the corners and more straight. Now I had a pretty good idea of what the whole thing should be looking like in-game. Note: roughly at the same time, I was watching Affinity Designer tutorials since I had just bought the software, and encountered this video about doing isometric grids. It was a bit too late to make a very clean version because I already had what I needed at that point. Of course, this would be split in three screens: the defense attorney, the witness, and the prosecutor, but since they are all seen from the same camera, I decided it’d be more efficient to draw them all in a sort of wide landscape shot. This way, they all fit in together seamlessly. I still have to figure out some details, especially how the interior design should turn out. I still want my stained glass behind the judge, but it should also make sense: if the courthouse is too modern, why would there even be a stained glass? It has to be old enough that when people built that place, they thought “God is watching,” or something. 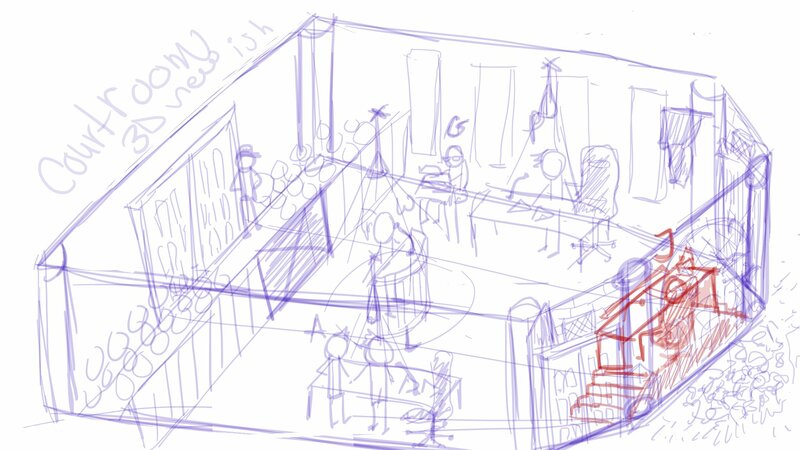 Nevertheless, I started two different versions to give me a direction, one that’s more like this picture of a Victorian court, and more like how the Ace Attorney games do it, and this one is a bit more modern, based off this court picture, but also interior design in one of my home in Animal Crossing. However, while doing those color tests, Sébastien made me realize in AA games, the attorneys look like they got stuff behind them, and mine doesn’t. Ugh, my attorney spots do look naked. I currently don’t have a clue about what to do for that issue. 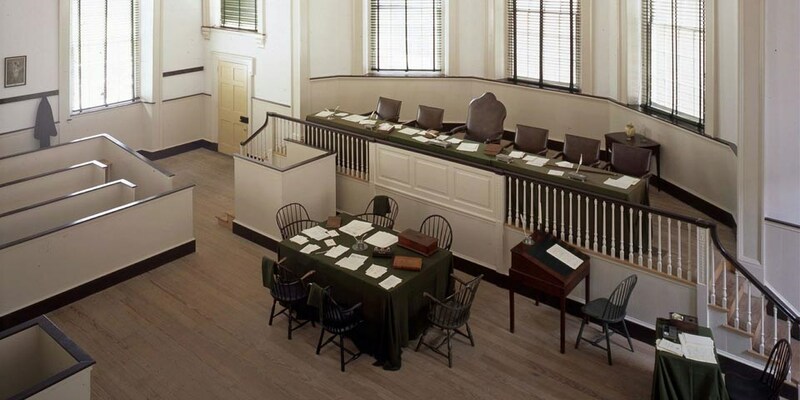 In the original Ace Attorney games, the spectators are seated behind the attorneys, which we can see when the camera shows the entire courtroom. In Dual Destinies, it’s like there’s a balcony of some sorts. It’s both cool and mysterious. Phew, there’s a lot still to do. 😅 Not to mention this post was in writing for over a month and scheduled to go 20 days ago, too. I have to upgrade my blog game. Oh well. Meanwhile, I’ve been at least one sketch a day and I’m posting them on my art Instagram over here. I’ve done some Project Libra character sketches to start since that’s all that’s on my mind currently, but sometimes I’ll also draw other stuff, like cute t-shirt designs I would wear. Follows are appreciated!